At the Hotel is a product to introduce what a hotel is and people and things seen in a hotel. 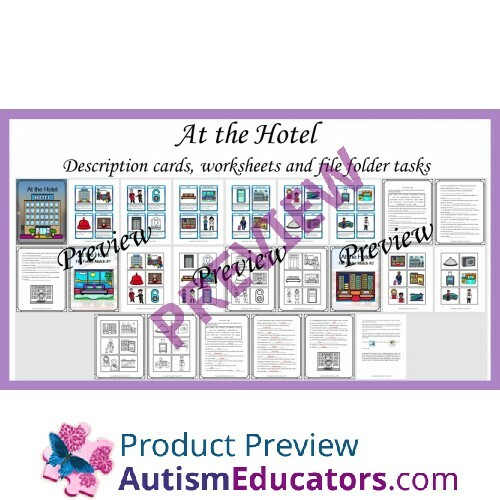 Included is 24 description cards with images, fill in the blank worksheets with word bank provided and answer sheets. Also included is two file folder matching tasks. 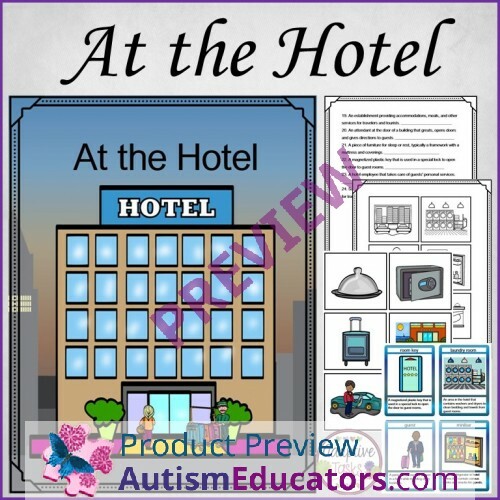 Great for discussing travel, community helpers and places in the community, and independent tasks.